You have the idea – we put it into plastic. Our engineers advise you on material selection and deal with all aspects relating to the conversion of the product design into plastic. We accept your construction data either online (inter alia Odette, Euro-File) or on data storage mediums in all currently-used formats. 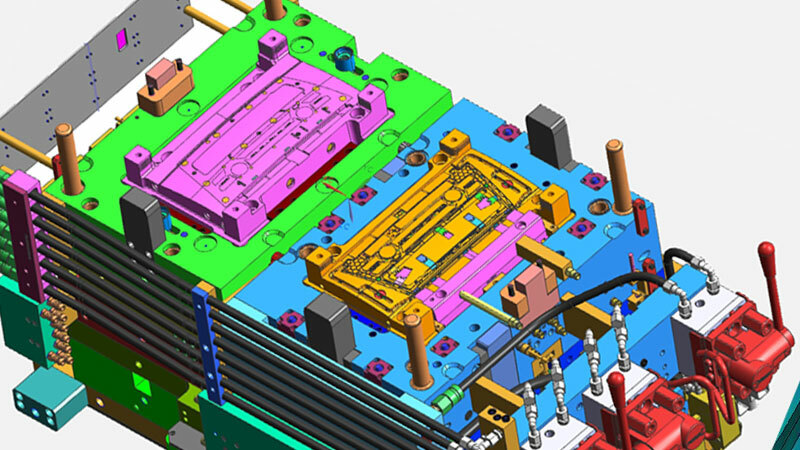 Tool construction takes place entirely in 3D and, using a variety of analyses, your concept is already tested and optimized in the preliminary stages. The locking hooks on a different position after all? A selectively painted surface or with sophisticated In-mold-labelling decoration? 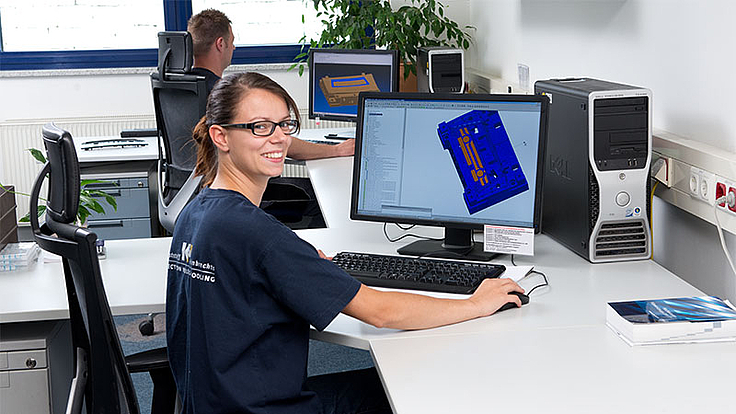 Our tool construction takes place entirely in 3D. In this way it’s always possible to incorporate your desired changes promptly. 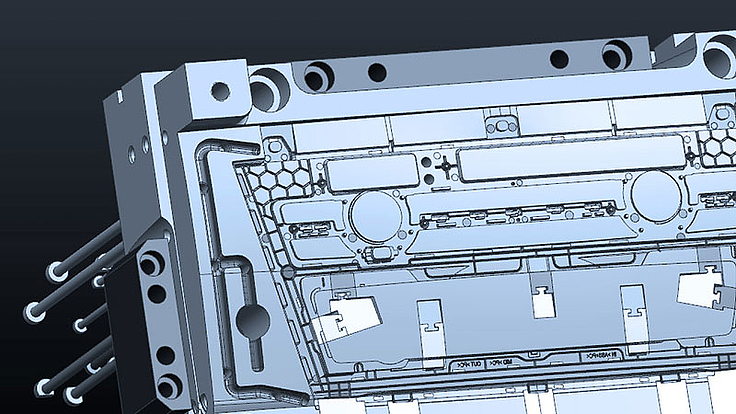 The mold-flow calculation already gives an indication in the preliminary stages of just where, on the planned plastic part, possible weak points or material accumulations could occur. 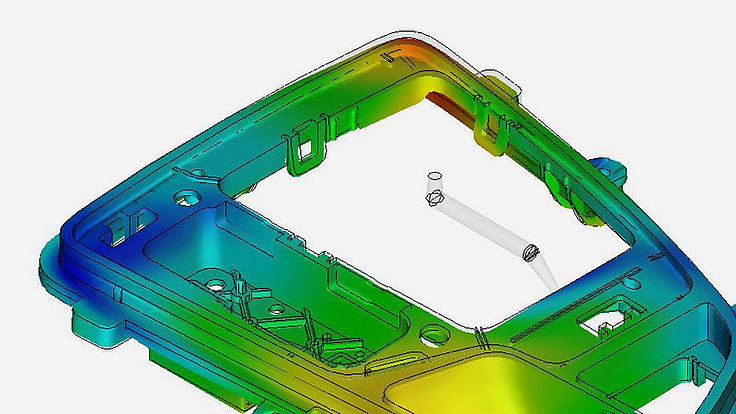 In this way the geometry can be improved and the optimal injection point as well as injection parameters for stable processing can be mathematically determined. Perfect consistency at Formula 1 speed: CAD data from the tool construction reach the high-speed CNC processing centers directly via our CAM department. This ensures short lead times and perfect tool quality.